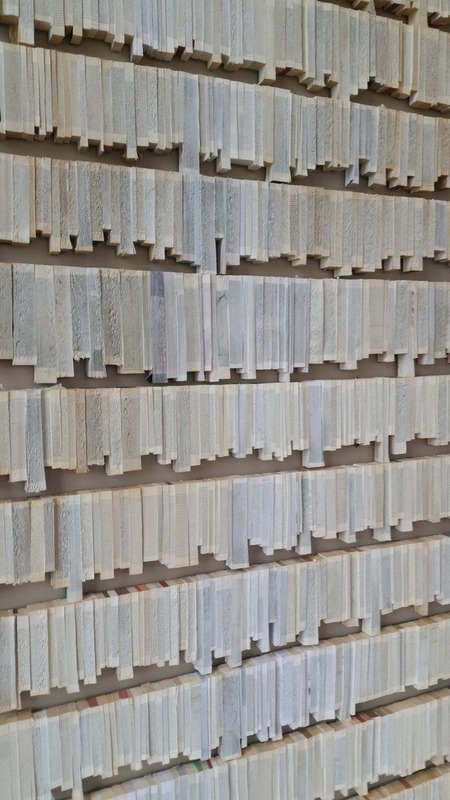 "Subtitles" is completed in 2016 and is made out of books collected from trash bins outside libraries, flee markets after closing time, and so on. It is made of approximately 1400 books from contemporary literature, well-known classics, and long forgotten writers. It appears that books have lost their importance both as objects and as containers of intellectual and cultural importance. In the digital world, the books might have lost their role as a source of eternal knowledge, reduced to pieces of materials, so we decided to explore them as such. 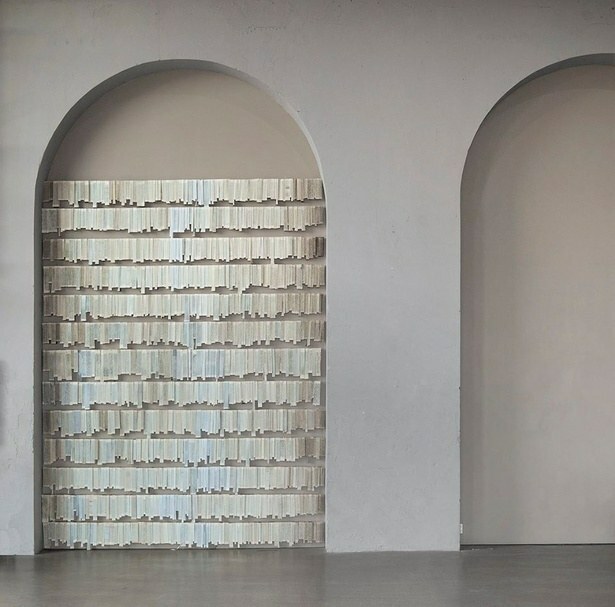 We have made what we will call a textile wall hanging, by cutting the books in front to a lamella of 5 cm, each glued on plywood in lines, three modules in a row. Hight: 350 cm, wide: 270 cm. The wall hanging is a monument made for the future, were people can watch it and get an experience of the past, a vague notion of these lost but beautiful objects like the skeletons of prehistoric animals in museums.